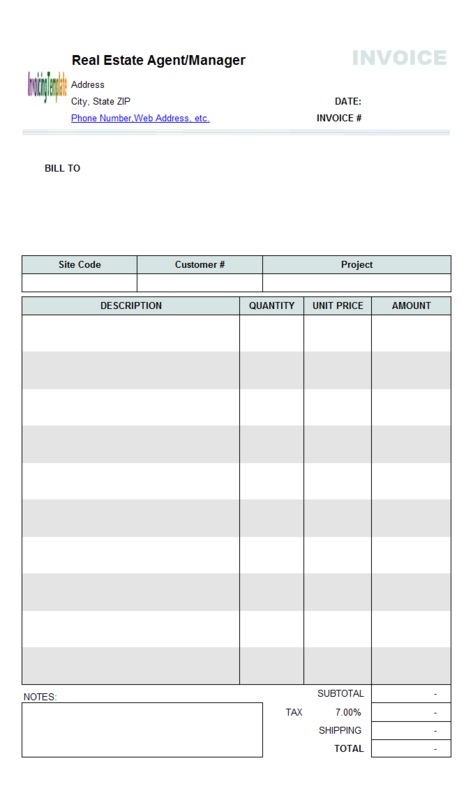 Simple Service Invoice Template is a service billing format designed under the need to itemize all the service that you offered. 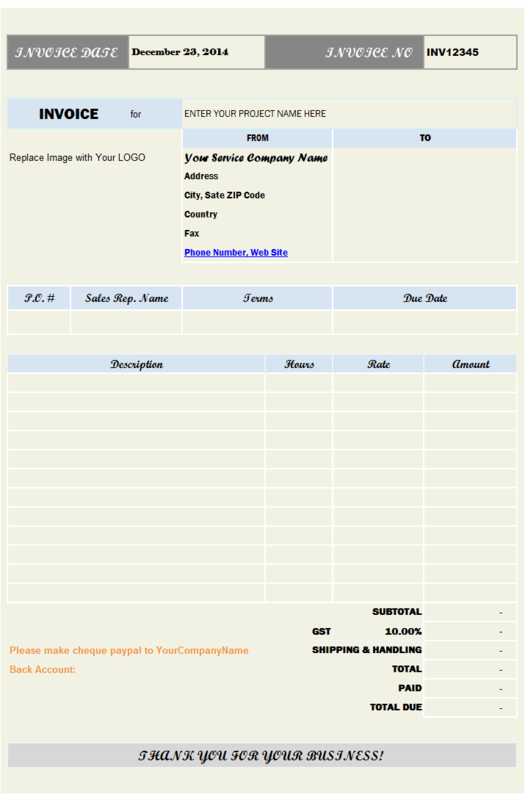 And by using this beautiful layout, you will able to collect all the information regarding all services that you performed. 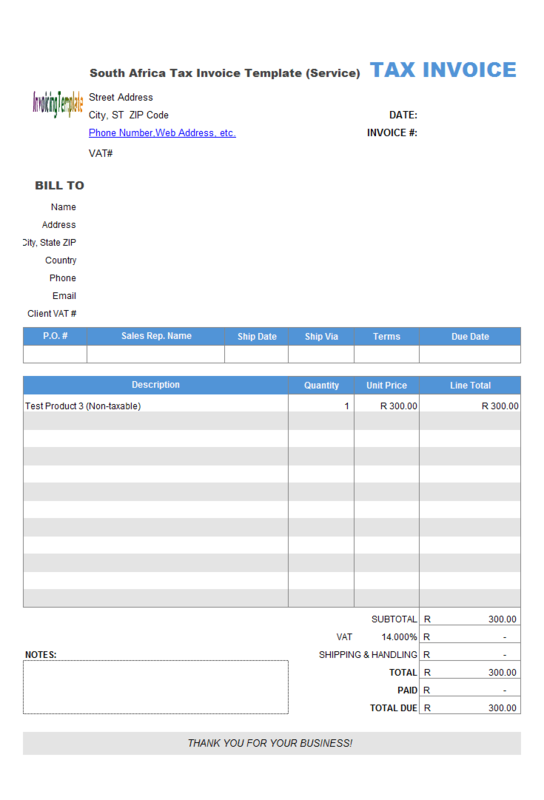 c4033 now includes the customized invoice template for the latest version of Invoice Manager for Excel. This is what you will see when you open simpleservice.xlsx. 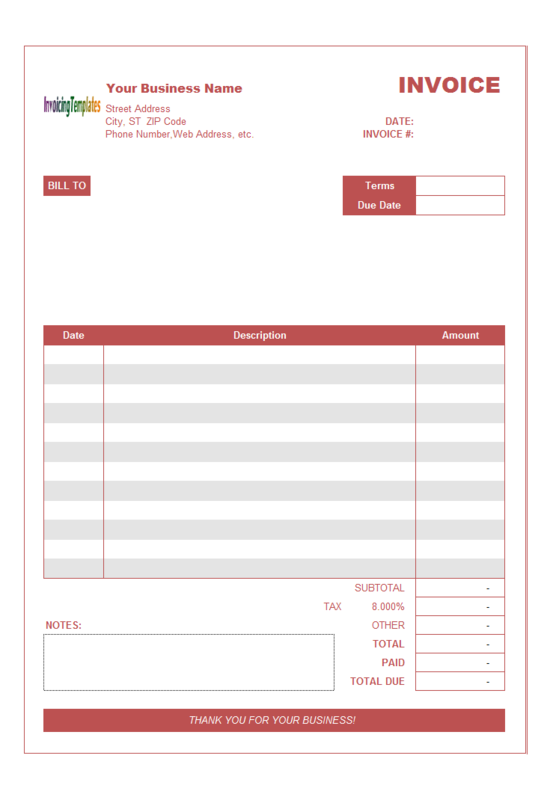 This invoice template is designed in a very convenient way. 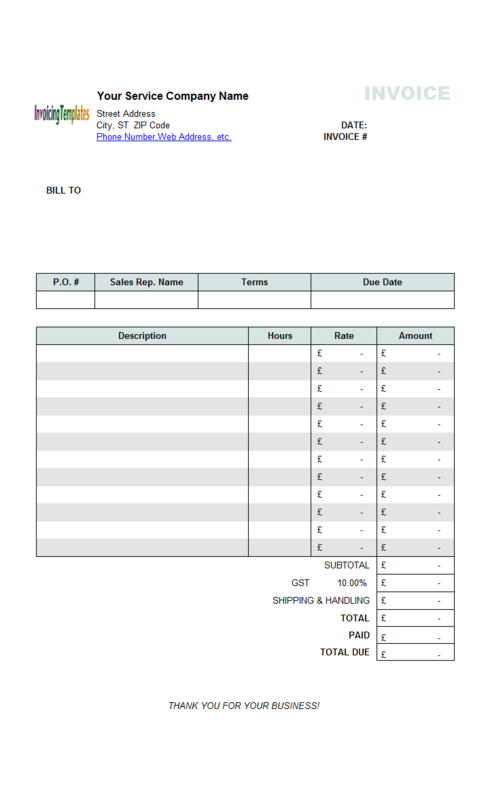 Creating invoices using Simple Service Invoice Template is just like filling in a blank paper form, so there is no hard learning curve. 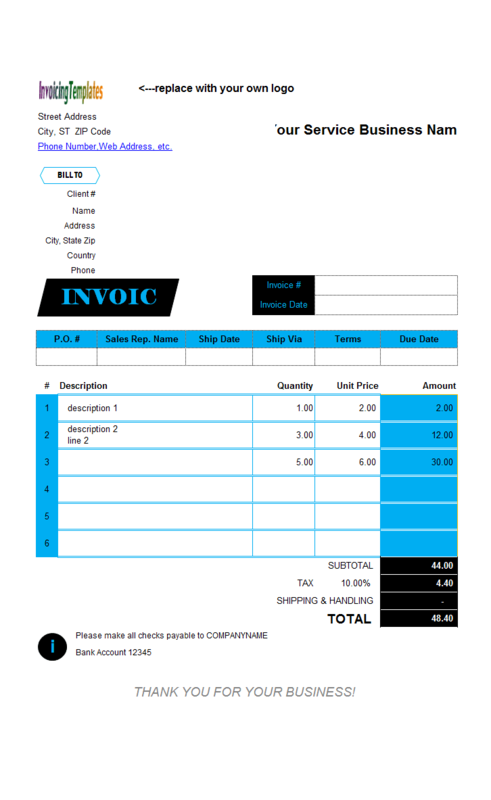 If you need more features such as tracking customer accounts, items, invoices and payments, this service invoice template also has a Invoice Manager for Excel (namely Uniform Invoice Software) edition. 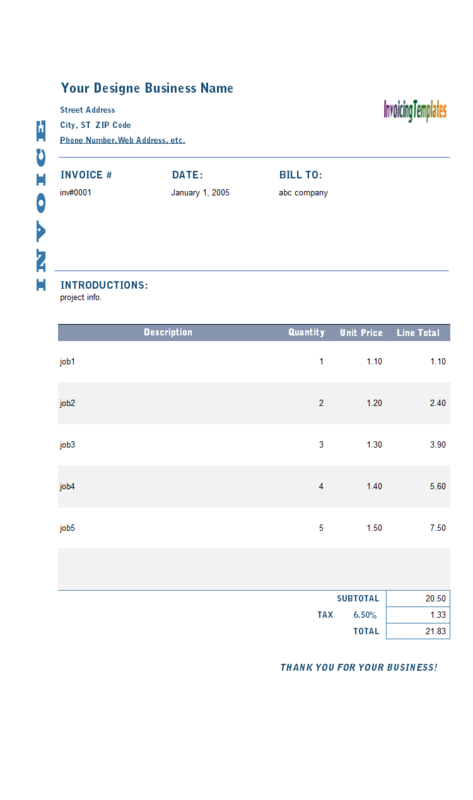 The Invoice Manager for Excel (namely Uniform Invoice Software) offers exactly the same layout as the freeware edition of Simple Service Invoice Template / Simple Service Billing Format, but with many functional buttons on the form, such as "Customers", "Products", "Invoices", "Save To DB", "Settings". 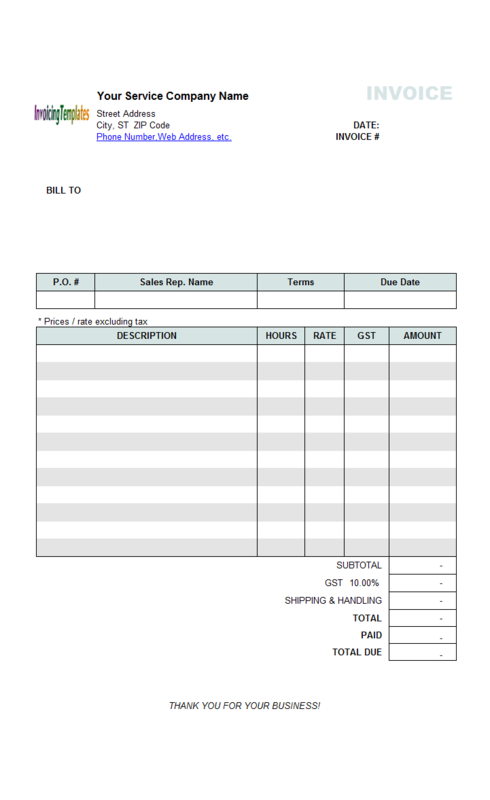 For example, by clicking the "Save To DB" button, you can save the current invoice to the backend database, and if the invoice# cell is left blank, Invoice Manager for Excel (namely Uniform Invoice Software) will automatically generates an invoice# for you, based on the rules defined on the Settings window. 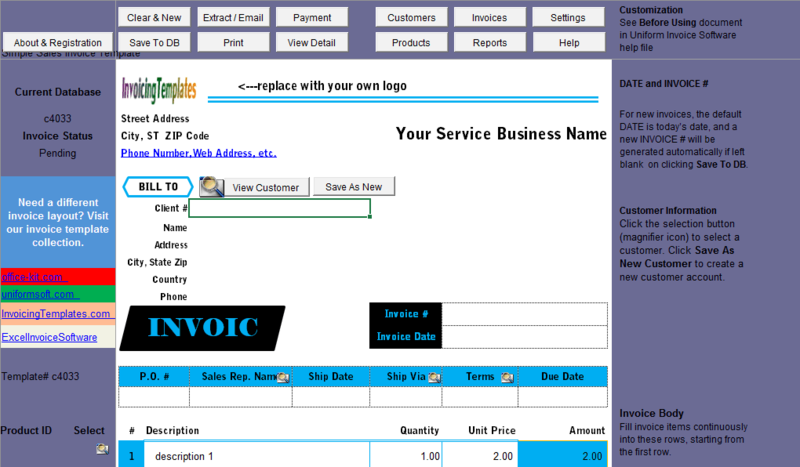 Invoice Manager for Excel (namely Uniform Invoice Software) also supports networking, which means several users on the network can share database, so that, for example, one employer is responsive for entering customer data, and another employer in the accounting department is responsive for processing payments. 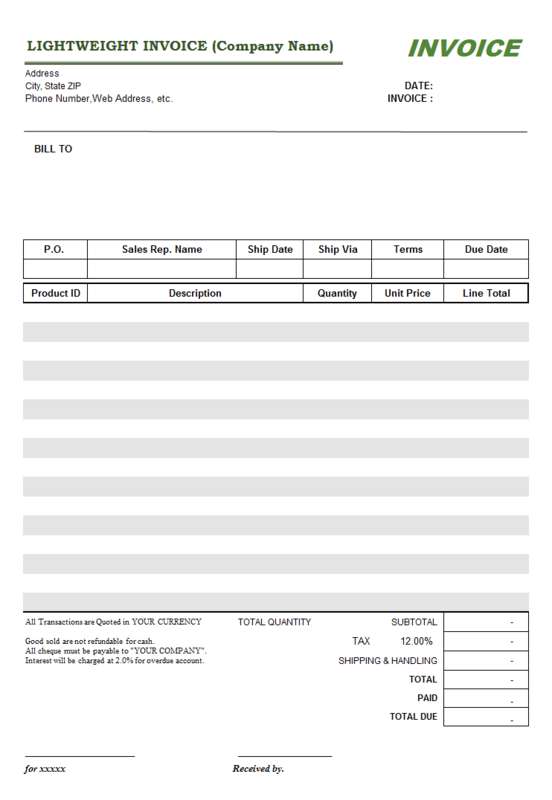 Simple Service Invoice Template is customized based on Simple Sales Invoice Template / Simple Sales Billing Format. 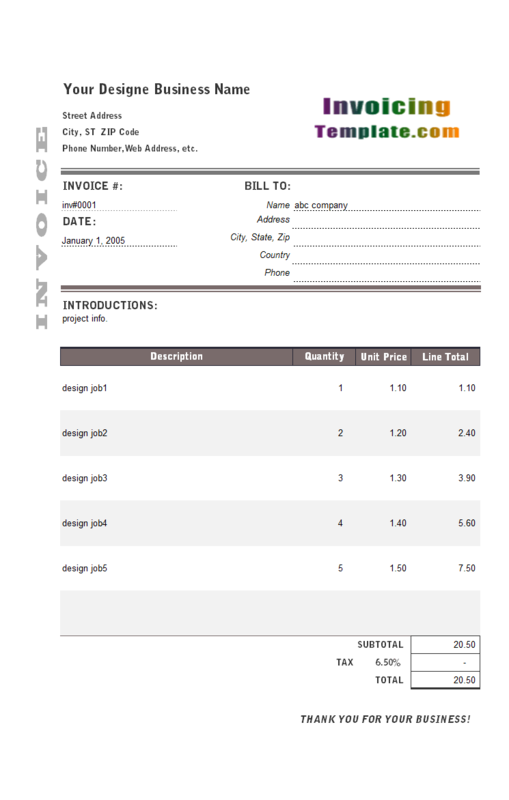 Another invoicing format with similar layout and style is also available here on InvoicingTemplate.com, at Simple Consulting Invoice Template / Simple Consulting Billing Format. 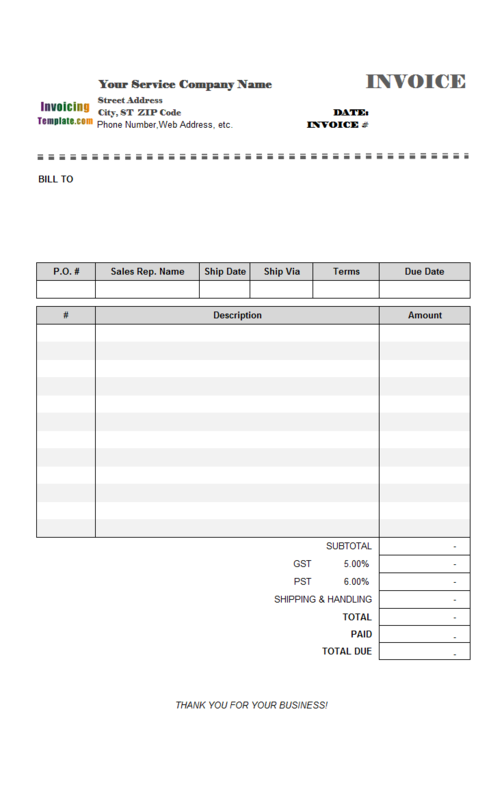 To create this simple service invoice template from c4032 Simple Sales Invoice Template / Simple Sales Billing Format, we move the shipping address section of out the printable invoicing form, which is identified by the "Print_Area" name in the Excel spreadsheet. In order to do this, we first unprotect the Invoice worksheet, and then do the movement. 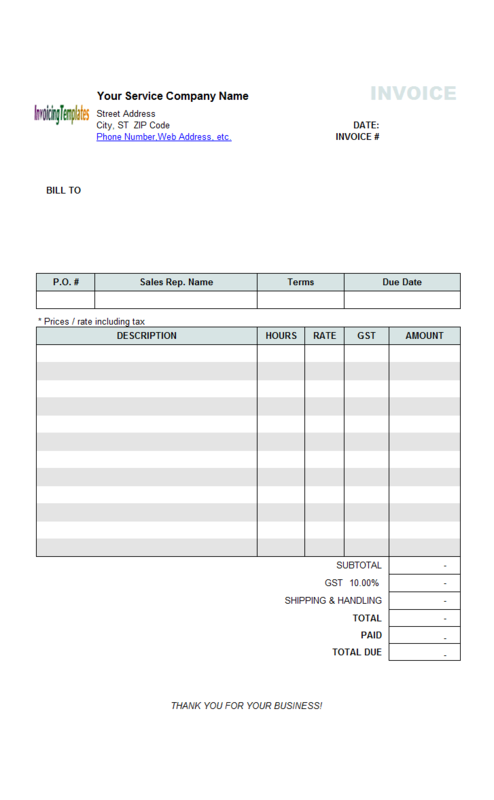 Note that the "InvoicingTemplates" logo on the top of the invoice form is a placeholder, which you should replace with your own logo image. 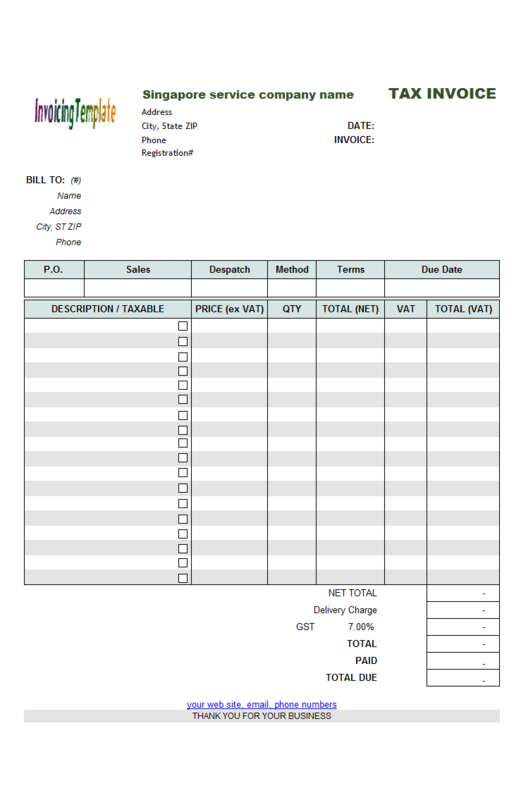 In order to do that, the invoice spreadsheet has to be switched to design mode. 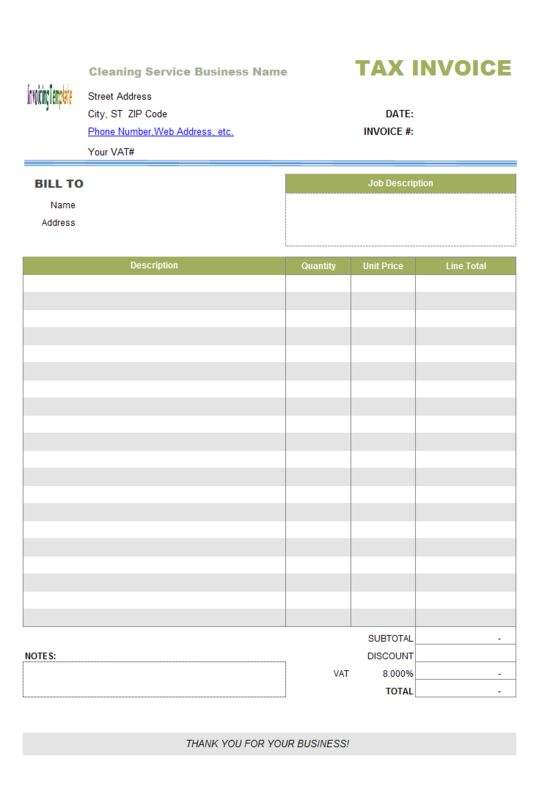 Like other form designs here on InvoicingTemplate.com, Simple Service Billing Format is free (offered to you at a price of 0.00USD). It works on Windows XP and all newer versions of Windows, and Excel 2007, 2010, 2013 or 2016.